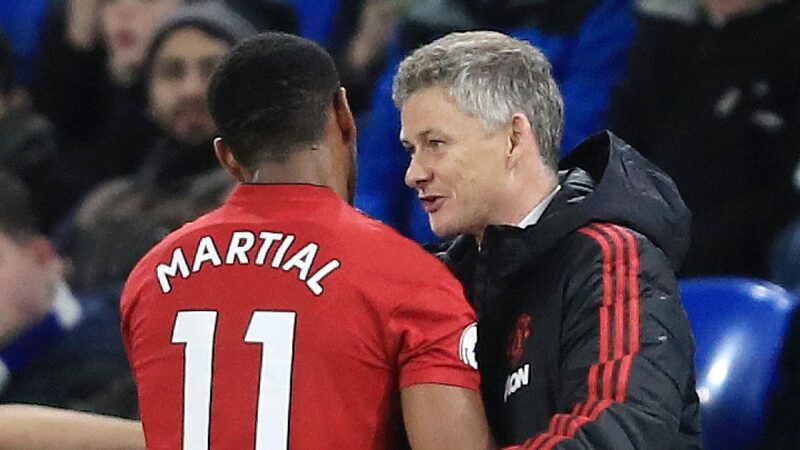 Ahead of their Champions League fixture with Paris-Saint Germain Anthony Martial has revealed the main difference between his former and present bosses. Martial fell foul of former United boss Mourinho, who was willing to offload the France forward last summer after losing faith in him and now the player admits that it’s far easier to play for Solskjaer than it was under Jose Mourinho. “We’ve got a coach who has different intentions and we’re trying to do what he asks,” said Martial. “Perhaps it’s easier to play this style of football and not the style of football he [Mourinho] asked. “The manager is asking me to attack more. That’s my job, after all. To make the difference and to be more decisive. “When our new coach came in, he had a lot of confidence, a lot of determination and that was really helpful. Martial, Pogba and Marcus Rashford are three players who have been transformed by caretaker boss Solskjaer’s arrival, with the squad keen for the former United striker to get the job full-time at the end of the season.